RCS Electrical Services is your Hallandale Beach electrician. Contact us for boat dock and boat lift electrical wiring for power lighing or shore power, generator installation and repair, solar panel installation and all your electrical needs. Nosotros tambien hablamos Español, y estamos a la orden para resolver todos sus problemas electricos. We're also experienced with, swimming pool lighting and wiring, electrical service repair, generator installation, and many other electrical services. Your Hallandale Beach electrician is a kitchen rewiring specialist. Our kitchen lighting packages are not only beautiful, but functional. We place emphasis on your work surfaces, around the counter top, and focus our recessed lighting there, so that you have plenty of illumination right there, where you need it most. And if you want something fancier, we can give your under counter space, soft gentle lighting, which can give you more illumination when you are preparing those special meals. It also can be dimmed later, for those after meal quiet moments, when you can do without the glare. Click here to request service from your Hallandale Beach electrician. We have a lot of experience with boat dock lighting, and boat lift wiring. We have a special technique in where we can cast lights down into the water at the boat dock's edge. This method has the effect of clearly indicating the contour of your boat dock which will make it safer to approach if you are coming in at night. We can also provide shore power, boat dock internet connections, boat dock water service, and automatic boat lift controls employing GEM Remote Controls. Solar panels are no longer priced so high that they are out of reach from the typical consumer. Today a small roof top solar energy system can be purchased and installed for under $9,000.00. If you had an electric car, and proceeded to do a solar panel installation for your property, you could save up to $450.00 per month. This could be achieved by a combination of lowering your electric bill and net savings of not having to purchase gasoline for your car again. In three years, a system such as this, can pay for itself; creating a stream of free cash for you after the third year. Consider the combination of an electric car and solar panel installation as a better investment than most anything Wall Street can do for you today. Standby generators are necessity in your household or business, if you can’t afford to be without power, for even the smallest amount of time. Whether you have an elderly person at home, that is on oxygen, a business you run from home, or you run an operation that needs constant power, a standby generator is what you need. Your Hallandale Beach electrician is also and expert generator technician. When it comes to generator installation, generator service, generator maintenance, or generator repair, contact your Hallandale Beach fl generator technician for all your generator needs. 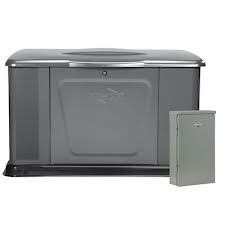 Or click here if your generator needs repair or maintenance. If you are a builder doing commercial construction in Hallandale Beach Florida or Broward county, and need a commercial electrician, contact our office. We have the expertise and the technical training to help you with your commercial wiring needs. Or maybe you are trying to open your own business. It may be a restaurant, a store front, or a warehouse. It doesn’t matter, if you need commercial electrical installation, commercial electrical repair, or commercial electrical maintenance, contact us and let us know about it. Contact us for all your commercial wiring needs. If you manage or operate an industrial or manufacturing facility, you Hallandale Beach electrician can also help you with those projects. We are able to provide consulting and installation services in a variety of industrial settings, and we have extensive experience with control systems. If you have a relay logic problem, PLC control system design, or PLC programming issue, or if you are assembling or upgrading a conveyor system or an industrial machine, we would like to offer our technical services to you. Think of RCS Electrical Services when you need solutions for your industrial wiring problems.